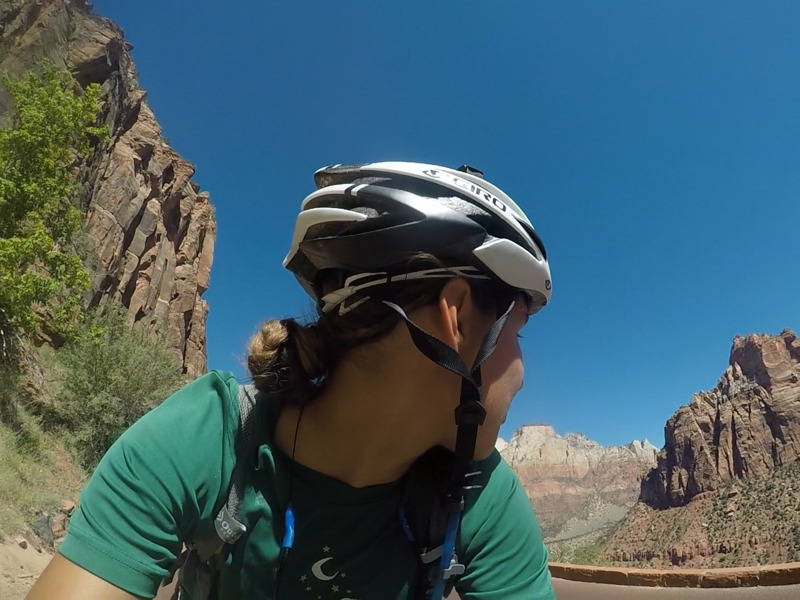 Maggie is a Rhode Island native who decided to ride her bike across America, all to raise money and awareness for proper recycling through Recycle Across America. The journey is over 4,000 miles long and Maggie only took what she could carry. Along the way she stopped and talked to folks about the work of Recycle Across America and how we can build a more sustainable future. Her campaign was called Cycle for One Planet and we were super excited when our friends at Recycle Across America introduced us to Maggie. Where were you born and raised and tell me a little bit about it? Born in Boston, MA and moved to Rhode Island at 2 years old. Rhode Island has my heart, as the Ocean State and home of many many rock formations, four unique seasons that are so noticeably changing, and wild, open shoreline ready to be explored by anyone who is wild and open enough! What were some of your hobbies when you were younger? I was always on or in the water. I swam, sailed, kayaked, jumped off rocks, bridges, rafts, and swam some more. In the winter, I swam competitively. I was also fortunate to travel up north to nearby mountains in Vermont, New Hampshire, even into Canada with family. Started picking up lacrosse and traveling with Rhode Island Metacomets. Wonder Woman, for sure. Her grace and peaceful message, while strong and diplomatic embodies a true superhero to this day. 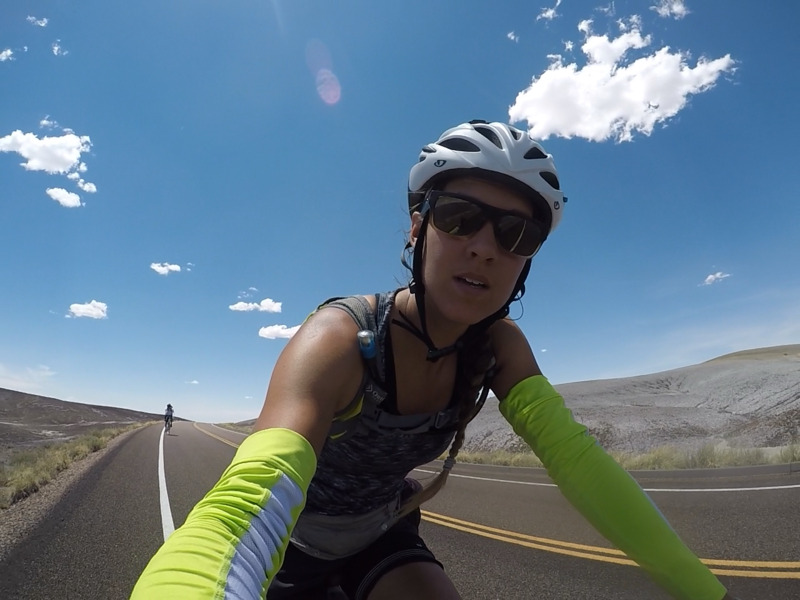 Biking across America is an extreme endeavour. How did you prepare for such a journey? Preparation... I feel like I prepared my whole life for the tour and every endeavor, for that matter. I did take some necessary steps — bought my first road bike (from a highly reviewed ebay seller), reached out to some friends who have traveled on bike for advice, researched a lot for budgeting reasons, reached out to a couple wellness brands for potential sponsorship, received an approval for leave of absence from work, and bought some maps! What was your most challenging experience along the way? There are a lot of challenges, got to love them all so the one to follow won’t be as hard. With that being said, Pennsylvania was challenging for me with consistent ups and downs. The beginning challenges, however, did not / can not prepare me for the weather ahead. The MOST challenging may have been my first century of the tour, 100 miles in one day. It was heading into Amarillo, Texas. Really, it is the mentality you persevere that will overcome any challenge. Began the day confidently before sunrise with the idea to take a midday stop at a lake ahead. Long day short, I went through a thunderstorm, hopeful for blue skies and it did eventually clear. Continued to the lake, which knowingly extended the time I would be riding. Back on the road. Straight. Flat. Long. HOT. First century in 100 degree weather. I did have enough water and the good part about this challenge was about 10 miles from Amarillo - a peace garden perfectly designed by Richard Daniel Baker. Why did you resonate so strongly with recycling? Where did that focus originate? I knew that I wanted to talk to others on the road about wellness and our connection to the surrounding environment. Recycling, for me, is a way of enjoying our natural world. If you enjoy something, then it is equally important to respect it. It is a huge problem. I really started working toward sustainability at the College of Charleston. As a member of the ECOllective Student Project Committee, we supported and guided student funded sustainability projects, we replaced the landfill trash bins with a dual Paper and GPM (Glass, Plastic, Metal) system, we created a Zero Waste event initiative, and we hosted zero waste audits in the middle of campus demonstrating everything that can be composted and disposed responsibly. This focus must have originated from the pure admiration for our planet. Is there a specific goal that you have with your journey after the trip? I would absolutely love to continue this journey by providing guidance to companies, schools, individuals on sustainability steps. What inspires you to continue to achieve and grow as a human? Ah myself. I would say that I am self-motivated. Also, the idea that we are all connected. So what is growth for me is growth for you is growth for our ecosystem. Tell me about your partnership with Recycle Across America. About a month before I left for the road, I reached out to several local wellness brands that may want to be represented across America. One of which (not local) was Aimee Lee, national account director of RAA, who was extremely enthusiastic and supportive of the mission! She immediately told her team, sent out a T-shirt, Earth flag, and sweet card. We are now working on bringing 5 elementary schools standardized recycling programs with the money I raised on tour. Is there a particular natural place that you resonate with here or around the world? This is a hard question for me!!! I have traveled outside of America but, am going to focus on our country here. I love Taos, New Mexico. The cycle of water is everywhere there, from the mountains to the Rio Grande. I think everyone should spend time by a natural water source to have a tangible understanding of the support Earth provides for us and a consciousness of daily resource consumption (i.e. water, electricity, gas, plastic, coffee cups). Is there a profound quote or mantra that you choose to live your life by? Mindful. Need less. Manifest. Something like that :) I enjoy being mindful of every single moment. Traveling on a bike allows you to truly harp on every breath, thought, rotation. Take it in. If we can go along our day with less, then there is only more room to be mindful! On manifestation, it all starts with an idea...nuff said. When you think about where you live and how it has been negatively affected by environmental neglect, what do you see and experience? Oh gosh, thank you for asking such questions. I have not officially written this down before but, it is very painful for me to live in a city environment with the amount of waste everywhere. It has become fanatic for me seeing cars, coffee cups, litter, plastic, even reusing materials hurts because it is still purchasing the material and supporting it to be reproduced. That’s just me, though, I try to put it toward my own next step in zero waste living and sustainability. Rhode Island is definitely doing amazing things - recently restoring our wild oysters reefs with The Nature Conservancy. Spread the word! If you are inspired by Maggie's story, you can follow Maggie at @cycleforone on instagram and Cycle for One Planet on facebook.